Lee and I had our very first wedding anniversary at the weekend (also his 51st birthday of course) and to celebrate we booked a cute little circus wagon in North Amsterdam which we found on Air BnB. 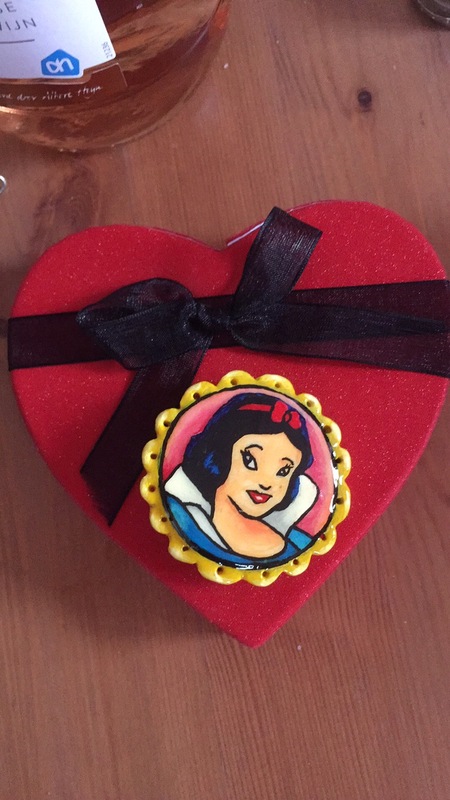 I awoke in the wagon in the big cosy bed, with the birds singing and the sun shining, and my romantic husband presented me with a red heart shaped box. 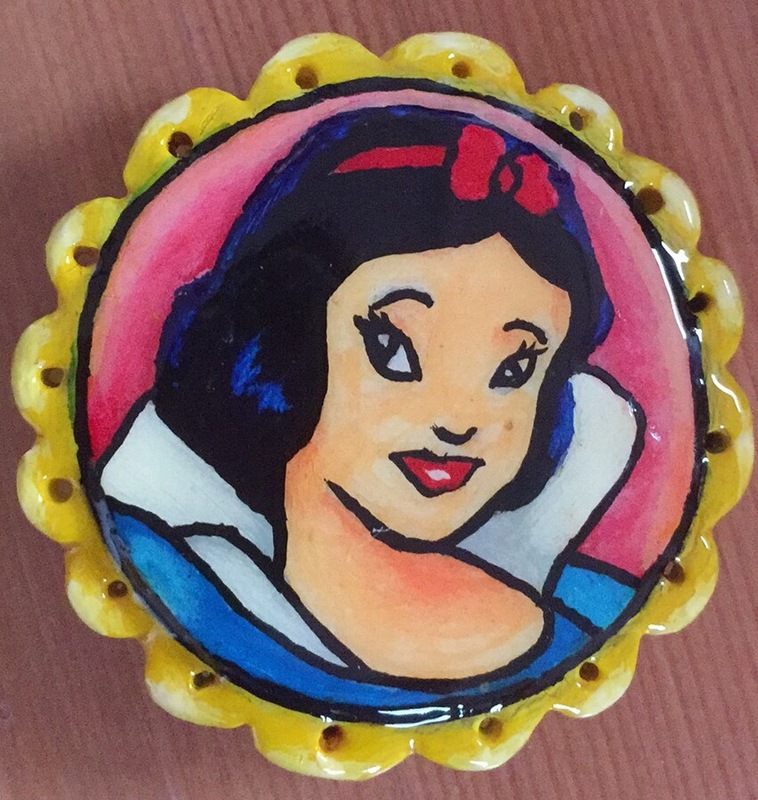 I was so thrilled when I opened it to find this beautiful Snow White brooch that Lee had hand crafted in Das clay with a scalpel, and hand painted in acrylics especially for me. Snow White is so very special to me as my angel Abigail adored Snow White and we played “Some day my prince will come” at her funeral.